With two key members of the varsity playing volleyball, the Lady Cats’ basketball team began practice Wednesday. Veteran Lady Cats Basketball Coach Jeff Chapman liked the first day of practice and he called it great. He said the girls were excited. Sadavia Porter, a junior in her third year on the varsity, told Coach Chapman she would like to take a leadership role on this year’s team. He said Porter has been putting in time and effort working on her three point shooting. She would like to be the team’s outside shooter this year. Coach Chapman was impressed when a dozen or so girls stayed after practice Wednesday to work on their shooting. He said some of the girls have quit jobs to concentrate on basketball. 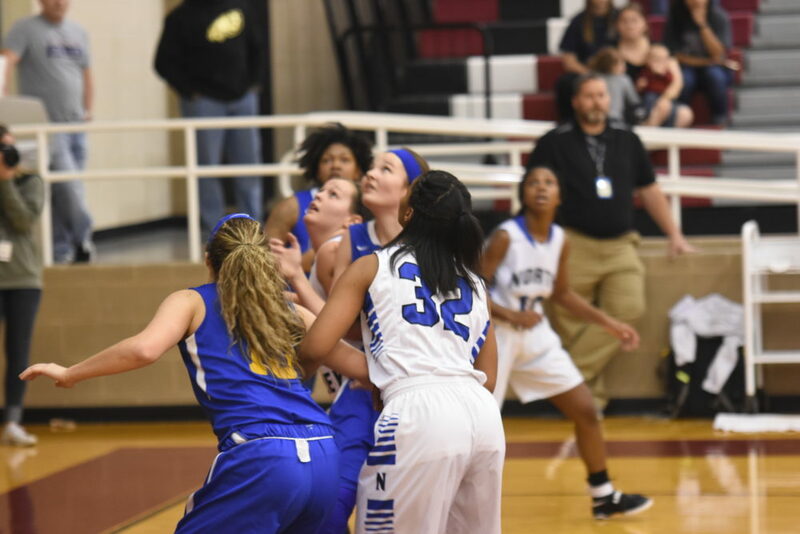 The Lady Cats lost four players to graduation last year. Included were starters Tori Moore and Daieyshia Pruitt and bench players Rita Hill and Destinee Weeks. At the conclusion of volleyball, Coach Chapman will have three returning starters: Kaylee Jefferson, Autumn Tanton and Porter. Coach Chapman said junior Danielle Godbolt was a potential starter. He said junior Tarayla Kelley would be attempting to make the varsity after playing JV ball last year. Two seniors, Laila King and Jamia Hall, are expected to be varsity members. Coach Chapman plans to have eight girls on the varsity. He said he will have either freshman, JV and varsity teams or a varsity squad with underclass squads designated blue and gold. Coach Chapman said the first couple of games on his schedule may not happen due to uncertainty with volleyball playoffs. He has scheduled no scrimmages and the iffy games are a season opener at Winnsboro on November 10 and a home game against Emory Rains on November 11.